China - Always Travelicious ! –> See How to go from Beijing to Badaling here –> From Beijing to Great Wall of China (Badaling) by Train. Summer Palace 101 – Garden of Virtue & Harmony, Suzhou Street, Tower of Buddhist Incense. 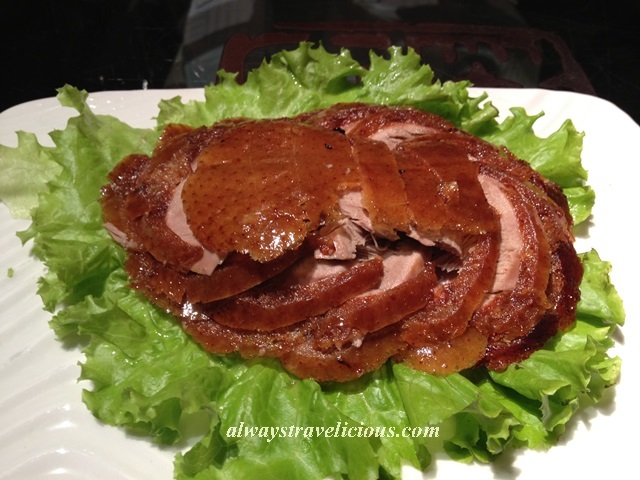 Dadong Roast Duck Restaurant – traditional roast duck prepared delicately and you get to see the roasting process too. 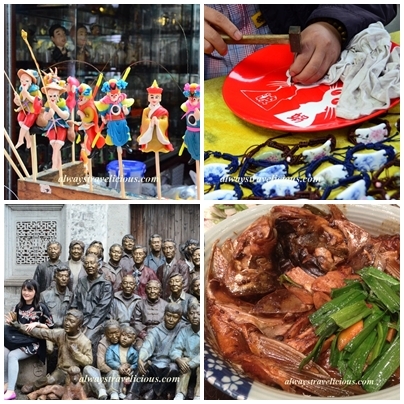 Ghost Street – Find the best of Food in Ghost Street (Gui Jie). Hou’s Wonton – has more than 100 years of history but I found their wontons so-so. Hua’s Restaurant (Hua Jia Yi Yuan) – savor their signature “Master Eight” or “Baye” Roast Duck. 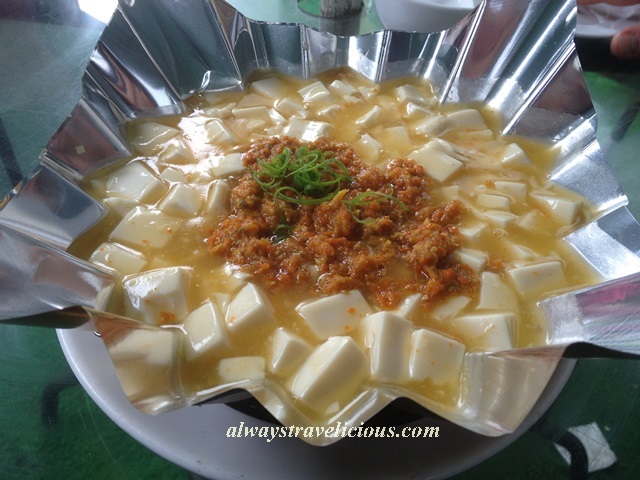 Luo Luo Hotpot – unique steamboat of the Miao Ethnicity from Guizhou with the most sour soup base ever. Quanjude Roast Duck Restaurant – The Best Duck in Beijing! Wangfujing Snack Street – get the best of street food at Wangfujing Snack Street. Yaoji Chaogan – Famous for their “fried liver” dish. 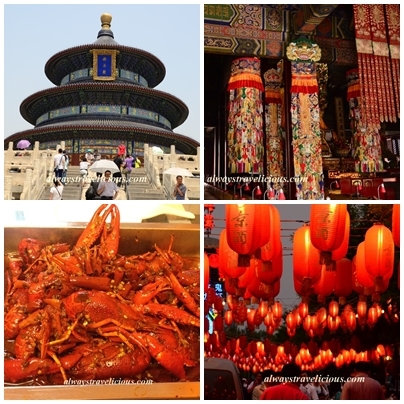 Zai Zai Crayfish on Ghost Street – try the signature dish of Ghost Street – “mala” (numbing & spicy) crayfish. Hua Zhong Cheng Restaurant – convenient place to eat at the foot of Leifeng Pagoda. Honeymoon Dessert – a dessert chain store originally from Hong Kong with choices that look so tempting. Huang Fan Er – serving meals that are fit for a king, literally, as this is one of Emperor’s favorite dining place. 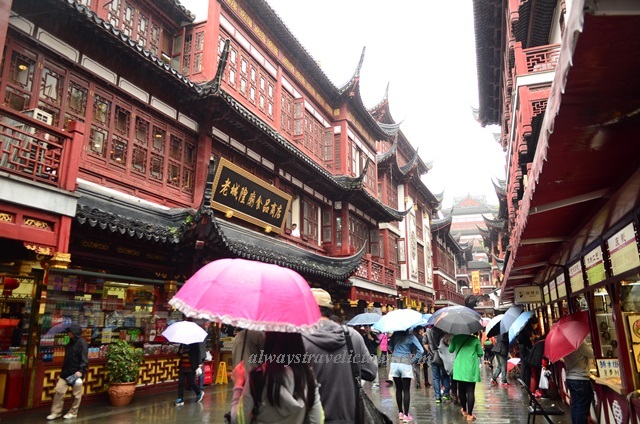 Kui Yuan Guan – Famous for their noodle delights. Lu Family Restaurant – serves local cuisine at extremely affordable prices. Wai Po Jia (Grandma’s Restaurant) – be prepared for the crazy queue! Zhiweiguan – their signature braised pork assembled like a pyramid is a must. 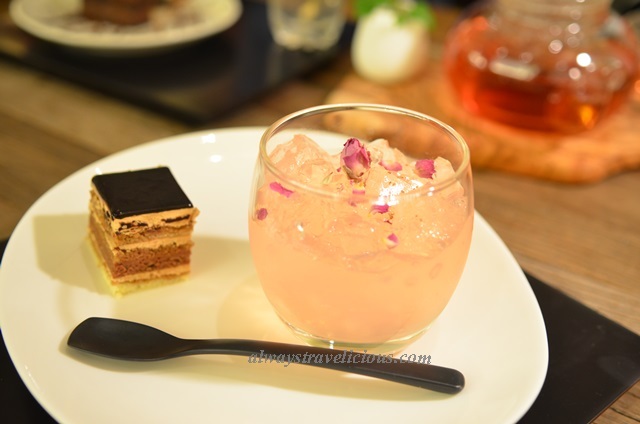 Cafe Fuwa Pulu – Japanese-style cafe in Xintiandi, serving delicious cake and jelly duo. Nanxiang Xiaolongbao – famous for the little buns, but I actually liked their soupy buns that is served with a straw to sip out the soup from the bun. Double Happiness Courtyard Hotel – Highly recommend this if you wish to experience the hutong life in a 200 year old “Siheyuan”. Renhe Hotel – superb find strategically located close to the West Lake and famous restaurants.